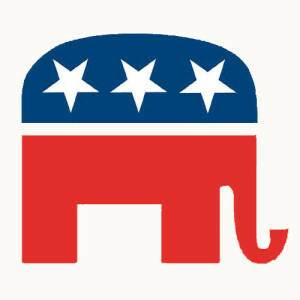 The elephant in the room at today's GOP convention is whether party officials will vote to block Mihos' primary bid. Seeking to avoid a potentially distracting and divisive primary contest, Republican gubernatorial candidate Charles Baker is trying to lure enough delegates at today’s GOP convention to his campaign to end Christy Mihos’ bid for the party nomination. Candidates must receive at least 15 percent of the delegate vote to appear on the primary ballot this fall. And though Mihos trails by a considerable margin in all recent polls, it’s unknown whether enough delegates will throw their support to Baker today so the party can begin focusing on the general election. Delegates may be especially sensitive to this line of cautious reasoning given the perceived vulnerability of incumbent Governor Deval Patrick. Patrick’s approval rating continues to hover below 50 percent and, with Tim Cahill running a strong independent campaign, the race could become a three-way tossup. By nominating a candidate now, the GOP would be able to immediately target their opponents without their own candidates targeting each other. Baker hopes to highlight Mihos’ 2006 gubernatorial candidacy on an independent ticket as proof that Mihos is not a true Republican. Mihos left the Republican Party to launch that bid, and some believe his candidacy undercut support for GOP nominee Kerry Healey; Mihos garnered just seven percent of the vote in that election, but his candidacy forced Healey to run a grueling campaign on two fronts. Yet despite all the media attention given to the Tea Party, a platform modeled on that movement—drastically rolling back taxes and government programs, including education spending—is unlikely to get Mihos very far. In the end, he is the maverick candidate because he is so far to the right of mainstream Massachusetts politics. While Scott Brown’s surprise victory proved that Massachusetts is not just a one party state, Brown’s campaign was hardly as radical as the one Mihos is running. Brown drew his support predominantly from his opposition to the health care bill which, after a year of raucous debate, almost no one wanted a part of anymore. Aside from that, his policies made him a fairly moderate republican. Plus Brown got a huge gift from the abysmal Coakley campaign which, by being so lackluster as to be almost nonexistent, fostered a perception among voters that Coakley was out of touch and deluded with a false sense entitlement. Patrick, however, hasn’t alienated his voting base, and has actually seen his poll numbers improve lately. Populism sells best in tough times—when voters feel their wallets threatened, they are willing to embrace brash appeals for redrawing the status quo. Mihos believes he can ride this sentiment to success, and today’s convention will be the first test his tactic’s viability.